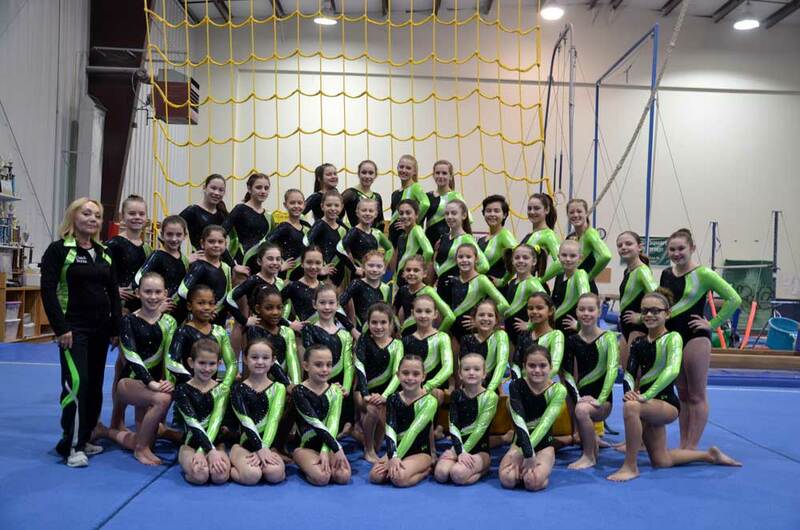 Over 330 USAIGC gymnasts representing 13 teams from across the region participated in the 5th Annual KMC Sweetheart Invitational over the weekend of Feb 17-18 hosted by KMC Gymnastics in Kennett Square. 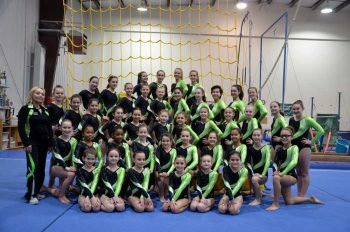 This two-day event included athletes who competed at Copper 1, Copper 2, Bronze, Silver, and Gold levels on four events: balance beam, floor, uneven bars, and vault. Team, individual, and all-around awards were recognized. Team Awards: 1st place: Copper 1, Bronze, and Silver teams. 2nd place: Gold team. 3rd place: Copper 2 team. Copper 2 (age 7-8): Beam: Abby Livingston (2nd). Floor: Gayle Reyburn (2nd), Vault: Gayle Reyburn (1st) Abby Livingston (3rd). All-Around: Abby Livingston (2nd), Gayle Reyburn (3rd). Copper 2 (age 9): Vault: Saige Pfeifer (1st) Copper 2 (age 10): Floor: Alyssa Turner (1st), Danica Gray (2nd). Vault: Hannah Thijs (2nd), Danica Gray (3rd). All-Around: Danica Gray (3rd). Bronze (age 8): Bars: Gayle Reyburn (2nd), Beam: Sophia Armandi (2nd). Floor: Sophia Armandi (2nd). Vault: Gayle Reyburn (3rd). All-Around: Sophia Armandi (2nd). Bronze (age 9): Bars: Allie D’Angelo (2nd), Leah Pellegrino (3rd). Beam: Allie D’Angelo (1st), Katie Slawter (2nd), Julianna Igo (3rd). Vault: Allie D’Angelo (1st), Leah Pellegrino (2nd). Floor: Allie D’Angelo (2nd). All-Around: Allie D’Angelo (1st), Leah Pellegrino (2nd). Bronze (age 10): Beam: Isabella Albers (1st), Floor: Isabella Albers (2nd), Vault: Isabella Albers (1st), All-Around: Isabella Albers (1st). Bronze (age 12): Bars: Peyton Torrey (1st). Beam: Peyton Torrey (1st), Cara Steffensen (3rd). Floor: Peyton Torrey (1st), Cara Steffensen (2nd). Vault: Peyton Burrell (3rd). All-Around: Peyton Torrey (1st), Cara Steffensen (2nd), Peyton Burrell (3rd). Bronze (age 13): Bars: Ashley Chiari (1st). Silver (age 9-10): Floor: Isabella Albers (2nd). Silver (age 11): Bars: Jenna Lamberth (1st), Beam: Jenna Lamberth (1st). Floor: Jenna Lamberth (1st). Vault: Jenna Lamberth (1st). All-Around: Jenna Lamberth (1st). Silver (age 12): Bars: Lauren Fenstermacher (2nd). Beam: Meghan Dunlap (1st), Lauren Fenstermacher (3rd). Floor: Cassidy Bonura (1st), Lauren Fenstermacher (3rd). Vault: Meghan Dunlap (1st), Cassidy Bonura (2nd). All-Around: Lauren Fenstermacher (2nd), Meghan Dunlap (3rd). Silver (age 14): Bars: Hannah Wilcox (1st), Mary Ellen Roberts (3rd). Beam: Mary Ellen Roberts (3rd). Floor: Mary Ellen Roberts (2nd). Vault: Hannah Wilcox (1st), Mary Ellen Roberts (2nd). All-Around: Mary Ellen Roberts (2nd), Hannah Wilcox (3rd). Silver (age 15+): Bars: Ashley Torrey (1st). Floor: Ashley Torrey (1st). Vault: Ashley Torrey (3rd). All-Around: Ashley Torrey (3rd). Gold (age 15+): Bars: Leanna Pfeffer (1st), Rebecca Stoltz (2nd). Floor: Mercedes Mathews (2nd). Vault: Leanna Pfeffer (1st), Natalie Scheuer (2nd), Rebecca Stoltz (3rd). All-Around: Rebecca Stoltz (1st), Mercedes Mathews (3rd). Earlier in the season, KMC’s Copper 1 and Copper 2 teams earned 1st place at the Miracle on the Square meet in Lancaster, PA. In December the KMC USAIGC team traveled to Edison, NJ for the Robin Cone Memorial meet where the Bronze team earned a 1st place team award. A few weeks later at the Winter Bowl meet in Williamstown, NJ all KMC teams (Copper 1, Copper 2, Bronze, Silver, and Gold) won 1st place team awards. Following the Sweetheart Invitational, KMC went on the road again to Lancaster, PA for the Horseshoe Invitational where, once again, they earned an impressive 1st Place team award for all KMC USAIGC levels. Coach Iryna Aliyevska was proud to note “Following this meet Allie D’Angelo and Leah Pellegrino qualified to move to the Bronze Diamond level joining Isabella Albers and Peyton Torrey”. Last weekend KMC traveled to New Jersey to compete at Rutgers University where their teams won the following awards: Bronze (3rd), Silver (3rd), and Gold (2nd). The KMC USAIGC gymnasts have 2 meets remaining of the regular season before they compete at States (PA), Regionals (NJ), and Worlds (FL). 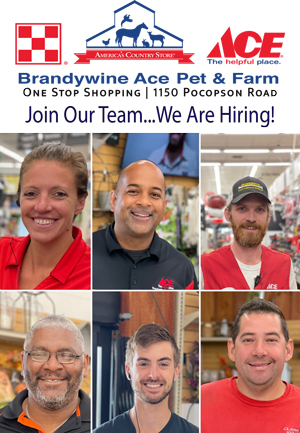 © 2019 The Kennett Times. All rights reserved.